Facebook has unveiled a series of tool designed to stop harassment on the social network. It will, attempt to stop people from setting up fake accounts to harass people, and make it easier for people to ignore messages for harassers. The social network says it hopes the new features will cut down on abuse and bullying on its platform. The new system can automatically spot abusers who set up multiple accounts, and also adds the option to ignore a Messenger conversation and automatically remove it from your inbox. The social network says it hopes the new features will cut down on abuse and bullying on its platform. 'Based on feedback from people who use Facebook, as well as organizations representing groups who disproportionately experience harassment like women and journalists, we are introducing new feature,' it said. The first of the new features is designed to stop bullies setting up multiple accounts on the service. 'We’ve heard stories from people who have blocked someone only to encounter the same harasser using a different account,' Facebook said. It has built on existing features that prevent fake and inauthentic accounts on Facebook for the new system. It claims it can now identify fake accounts more quickly and block millions of them at registration every day. For those that do get through, Facebook is using signals like an IP address that identifies a user's machine, to proactively recognize this type of account and prevent its owner from sending a message or friend request to the person who blocked the original account. ARE YOU USING FACEBOOK RIGHT? 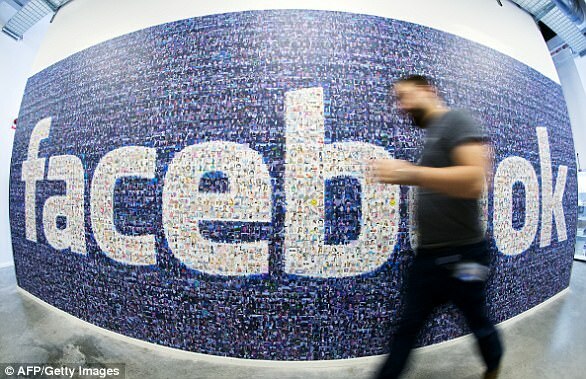 Facebook has struck back against scientific researchers and tech industry insiders who have criticized the world's biggest social media network and its competitors for transforming how people behave and express emotion. Facebook, in a corporate blog post, said that social media can be good for people's well-being if they use the technology in a way that is active, such as messaging with friends, rather than passive, such as scrolling through a feed of other people's posts. Facebook said that social media can be good for people's well-being if they use the technology in a way that is active, such as messaging with friends, rather than using it passively. In its blog post, Facebook acknowledged what it called 'compelling research' on the negative effects of social media and cited two such academic studies. It went on to cite other studies suggesting that the dangers of social media may be exaggerated, and that it has potential benefits if used correctly. 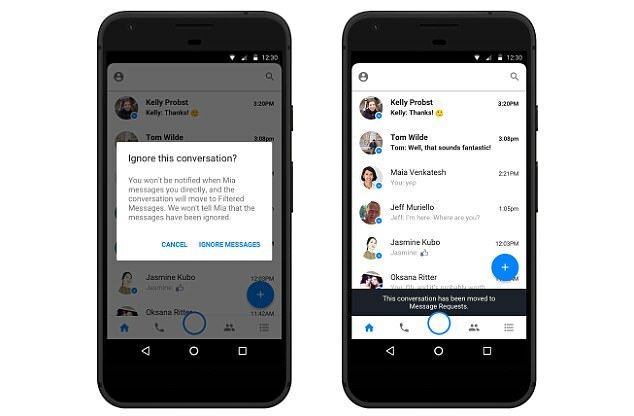 Messenger has also been given new anti bullying features, allowing people to ignore a user without unfriending them, which Facebook says often causes them to become more abusive. 'If someone is being harassed, blocking the abuser sometimes prompts additional harassment, particularly offline,' Facebook said. The new system allows users to tap on a message to ignore the conversation. This disables notifications and moves the conversation from your inbox to your Filtered Messages folder. Users can read messages in the conversation without the sender seeing if they’ve been read. The feature is now available for one on one conversations and will soon be available broadly for group messages, too.